Truly for the engineers workshop. Feel comfortable working on objects with powered and non-powered tools when fastening them in this ?engineering quality? bench vice. Its sturdy construction made from cast iron resists all distortion and holds whichever material you choose to work on giving you confidence knowing your work piece won't budge. The vice and anvil have all been cast in the same mould making it especially rigid and takes basically anything you throw at it. Directly mounts onto the bench. 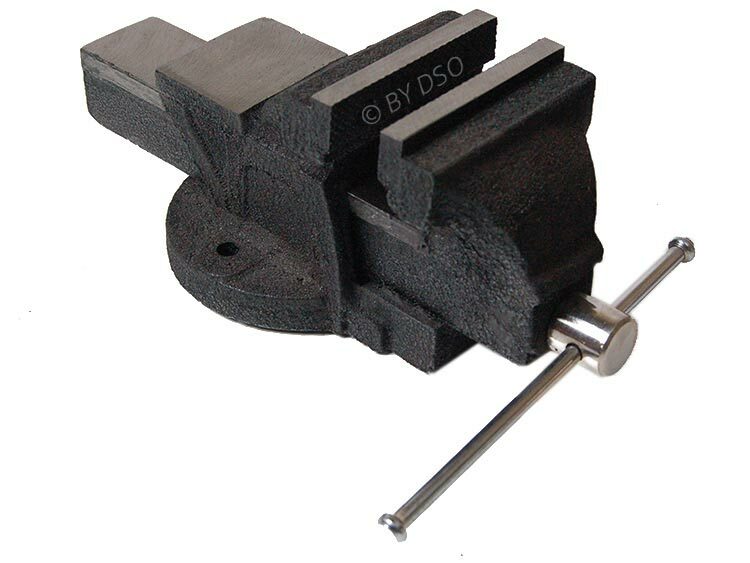 This vice is more or less an integral part of the workplace, every workshop and home garage needs one.